Simbolo de Besilu (Multi World Grand and Grand National Classic Fino Champion Stallion) is the grandson of this fine daughter of Resorte IV. 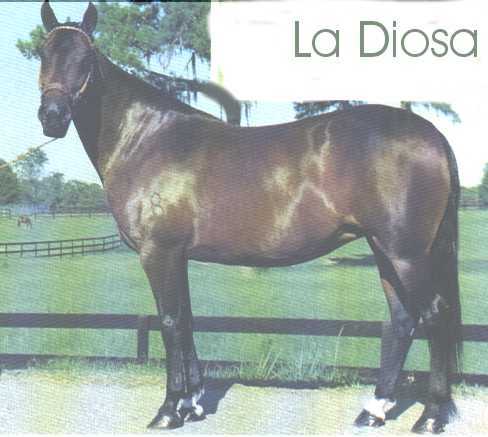 Diosa has had many other outstanding offspring who have excelled in the show ring and in the breeding shed. Bred to Amadeus de Resorte Cuarto for foal by embryo transfer - 3/8/04 bay colt born. 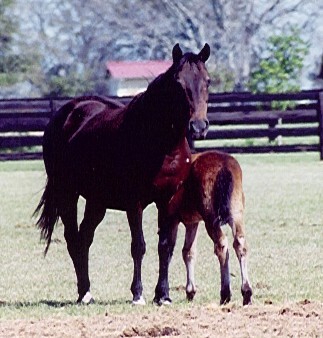 Bred to El Imponente de La Libertad for foal by embryo transfer - 4/24/04 bay filly born.